The world of Guess is luxurious, adventurous and flirtatious. 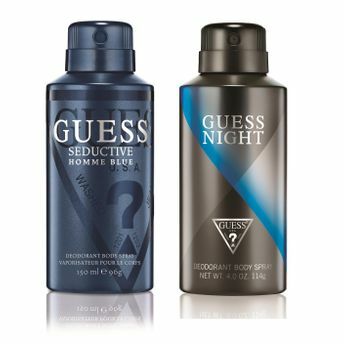 Introducing bold, refreshing deodorant sprays by trendsetting, global design house GUESS.As spring turns to summer, GUESS has got you covered in finding the perfect scent with its Seductive Homme and Night fragrances for men. These irresistible fragrances by Guess will keep you fresh and rejuvenated all day long.